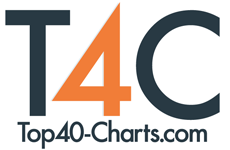 New York, NY (Top40 Charts / Global Country Music Association) The first International New Country Music Artist Contest details and entry requirements will be announced at the Global Country Music Association's (GCMA) Beaumont, Texas Jefferson Theater February 17th show with nine acts. But the main show attraction will be rising star and multi-instrumentalist, Holly Tucker, star of the television series "The Voice," Season Four. Her "Voice" Coach Blake Shelton, described her as "the most effortless, accurate and powerful voice he's ever heard." Another featured female act are the very young songwriter sisters, "Wild Fire," Kelli and Kayla, already making a huge mark in country music. The Global Country Music Association is a relatively young organization, started recently by the Museum of the Gulf Coast Music Hall of Famer, Don Meehan, whose Recording Engineer-Producer credits include over forty RIAA Multi-Platinum Record Awards, for recordings of Barbra Streisand, Bob Dylan, The Manhattans, and others. His most prized possession is his Three Time Platinum Award for Simon and Garfunkel's first hit that launched them to fame, "Sounds of Silence." He even sang the first cover record of the song that's on YouTube. The Board of Directors team and stateside/worldwide Ambassadors of the GCMA are dedicated to fulfilling their byline, which is spreading "Country to Countries," or spreading the word about country music to countries all over the globe. They're also searching the globe for where the "good ol' country" from the USA is already being heard. Thus, the contest that will decide one winner from the USA and another from anywhere else on the globe plus runner-ups will be crowned in May.